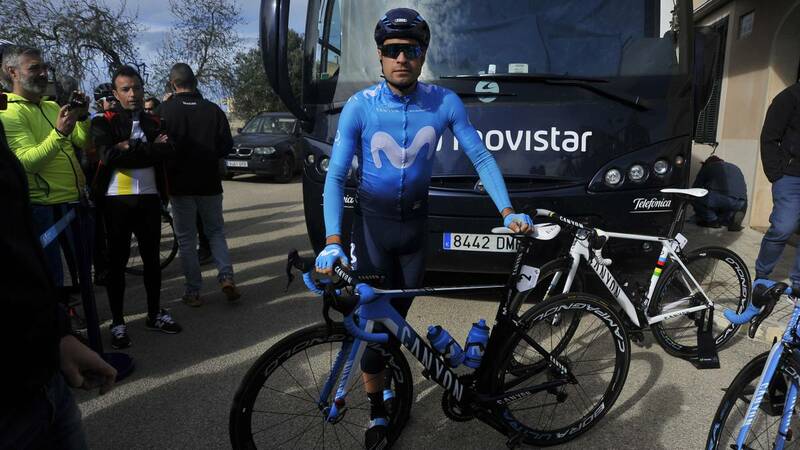 Home Cycling Landa: "I've seen the fall very close, it's scary when you see it"
Landa: "I've seen the fall very close, it's scary when you see it"
A montonera in the last six kilometers ruined the Itzulia of many favorites. Schachmann reinforced the lead: "I do not know if I can finish yellow, I have to face the best climbers in the world." Mikel Landa finally finished a stage of the Tour of the Basque Country, the third, with a good face and cheerful sensations, since he escaped to the montonera that eliminated many favorites. "I've seen the fall very close, it's scary when you see something like that, it's unpleasant, many favorites have fallen and because of that incident in the final section many important teams of the fight have disappeared. of comfort, but it's never nice to see people fall and that's why you go more calmly ". The Alava cyclist, ninth in the overall 1:16 leader, Schachmann, stressed that in the Itzulia there are no days for the comfort. "Here in the Basque Country every day is a wear and tear, there is no easy arrival and today, due to mileage, tension, nerves, has become one of them." On the strength of the German leader, Landa showed his doubts , since they expect very hard ports in the stages of Friday and Saturday. "Schachmann ?. I do not know how far it will go. In the Volta it was seen very strong, although the ports of Euskadi are very hard, different from those of the Volta; We will see how far he can go. " The German, winner of the third stage, was cautious about his final victory options, , since he will face people who climb a lot in the last stages." I do not know if I will be able to finish yellow next Saturday. The truth is that in the last 2 days I have found myself very well, but I have to face the best climbers in the world. Anyway, the team is strong and I will fight for it. "The leader of the Itzulia got rid of the crash that in the absence of 6 kilometers of goal eliminated a good number of favorites, such as the British Geraint Thomas (Sky), the Frenchman Julian Alaphilippe (Deceuninck) and Spaniard Enric Mas (Deceuninck). "I have not seen the fall, but I've heard it. I was protected by a partner, we were in the top 10 and luckily we avoided it. I hope there are no injuries in any corridor ". Aberasturi, who still has pains after falling backwards in the GP Miguel Indurain, did a great sprint at home, in a place he knows as the palm of his hand:" I finished sixth but when I started the climb and knew it all too well, I thought I could win. Also because people like Alaphillipe had stayed in the fall. These things happen because people are very nervous and stop. I suffered a bit during the stage because I had a fall in Estella but in the end I was able to fight for the stage in my house, in Álava. It was the only stage in which I could have options. I leave happy. "